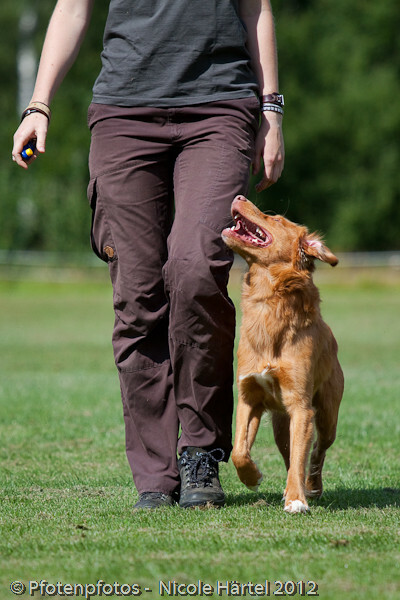 Both are called Obedience and the aims are very similar, both resulting around perfect harmony between handler and dog, but contain different exercises. 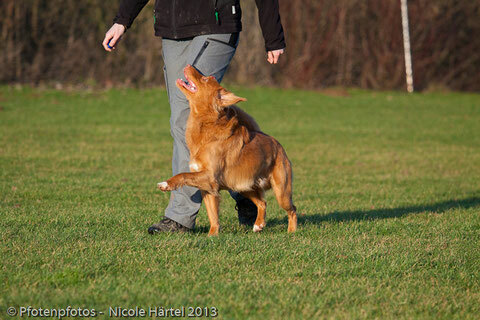 In English Obedience the emphasis lies on heelwork and in FCI Obedience it lies in the technical exercises, e.g. send-away, retrieve etc. 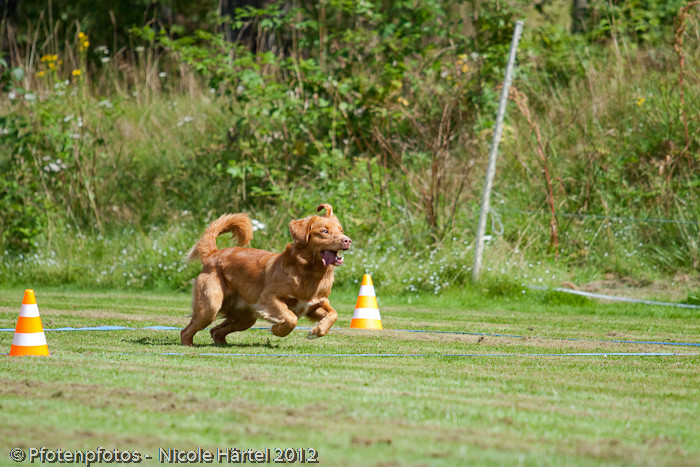 The handler-dog team should build a perfect unit in both sports and should show highly motivated exercises. I practice FCI Obedience with both of my dogs. 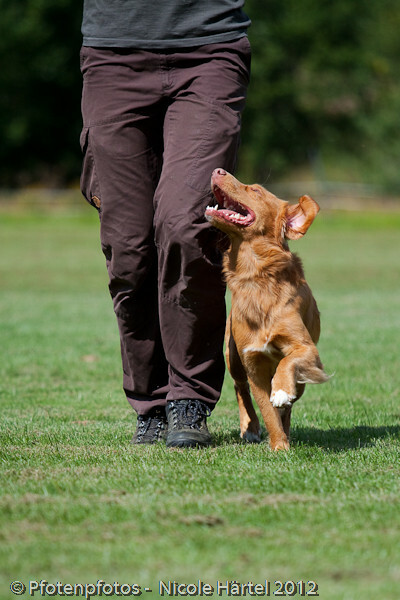 This sport contains classical elements like heelwork and positions out of the heelwork, but also retrieving exercises and a scent discrimination. 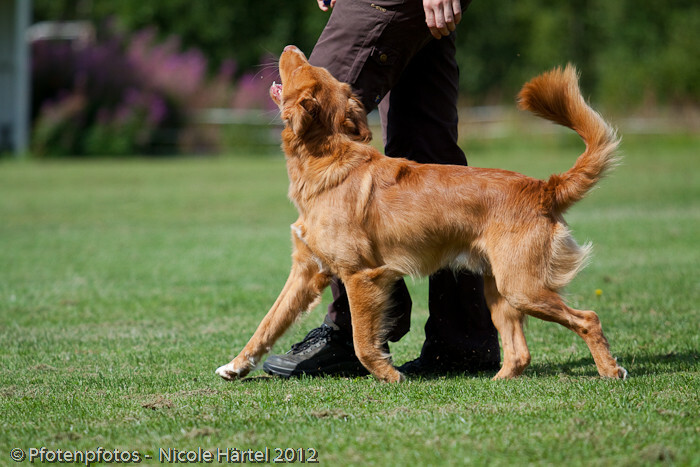 Especially the send-away, a set out square with cones and a ribbon, belong to the characteristic exercises of FCI Obedience. 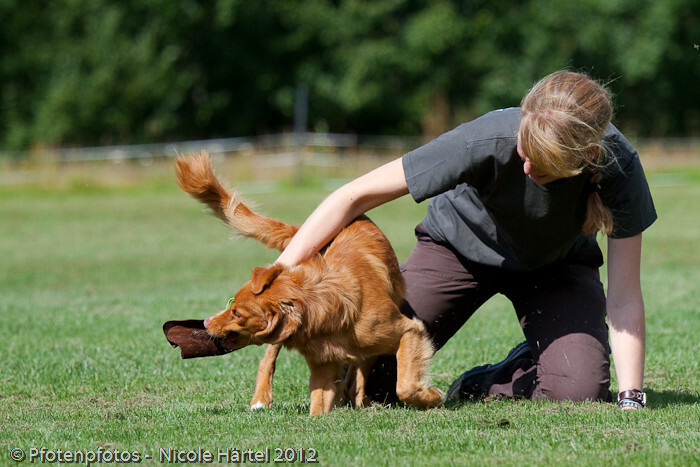 In a competition the dog should carry out all of the exercises precise and joyfully. Harmony between handler and dog is very important. 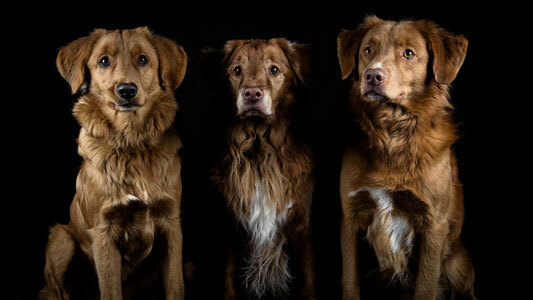 Obedience can be practiced by every breed up to a certain ammount, from the Pomeranian to the Newfoundland I have seen lots of breeds in this sport. Every breed brings another charm to the mat. 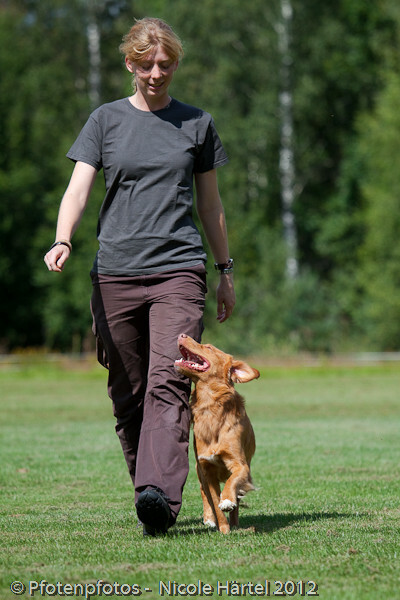 To compete in Obedience in Germany you need to have passed the Companion Dog Test (VdH). The highest class is the so called International Class 3. After Anouk and I passed our Companion Dog Test in the local dog club, we were invited to our very first Obedience lesson. This happend 6 years ago and the enthusiasm isn´t fading. On the contrary it is increasing with every year.